United Cutlery Tailwind Assisted Opening Atomic Steel Pocket Knife Rainbow | BUDK.com - Knives & Swords At The Lowest Prices! 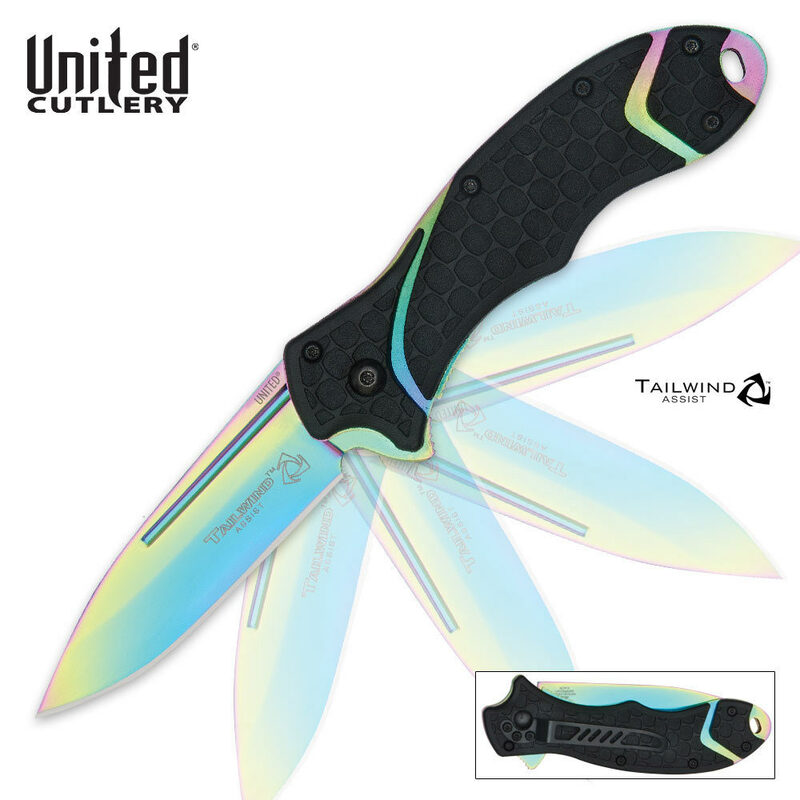 The fastest, asssisted-open mechanism on the market is hands-down, the Tailwind mechanism from United Cutlery. 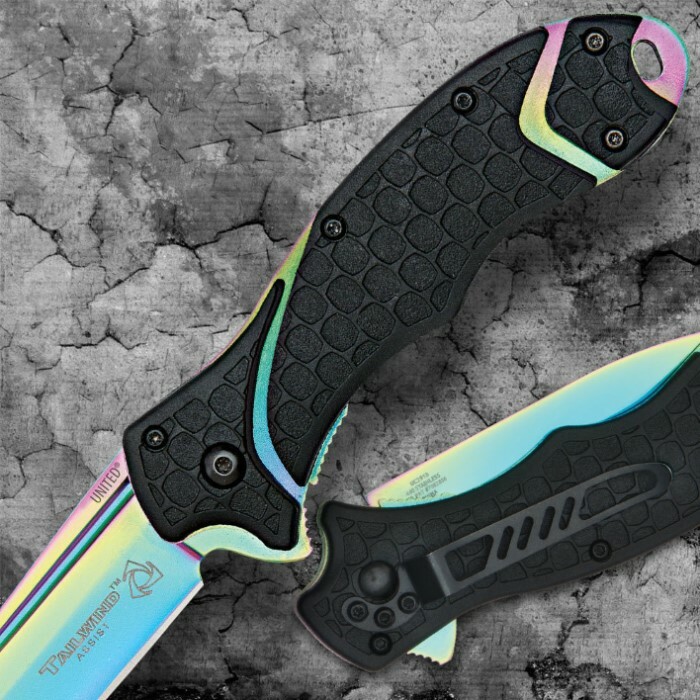 I love this knife!! My boyfriend got it for me and he was extremely jealous of it the second he held it. Super sharp right out of the box. Fast shipping. ONLY down side is that we wish it had a safety lock on it. But other then that I've already recommended it to several people! !